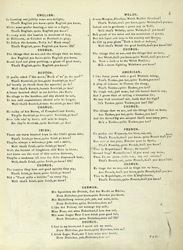 Political songs were not class specific, songs were well received in theatres from the upper and middle class audiences of Piccadilly and Leicester Square to the more working class theatres such as 'The Sun' and 'London Pavilion'. G H MacDermott was well known for his patriotic songs, his most famous was 'We don't want to fight' which introduced the word 'Jingoism' to the English language. Jingoism came to mean a belligerent and aggressive stance in questions of foreign affairs. 'Quite English' was extremely popular because of its support of Disraeli's stand against Russia in 1878.